Swinton have signed Gavin Bennion from Salford for 2019, while Kyle Shelford and Adam Jones have also penned new deals with the Lions. 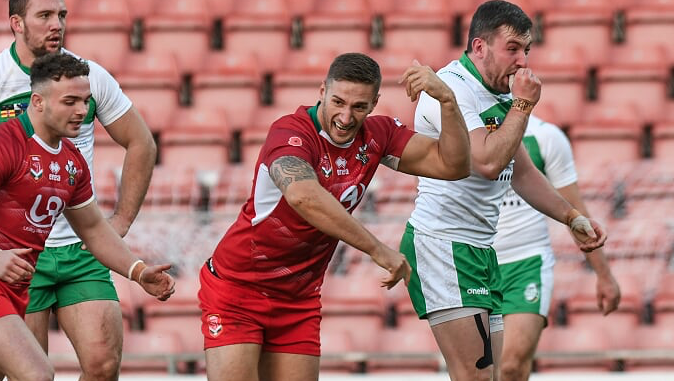 Bennion helped Wales qualify for the 2021 Rugby League World Cup following an impressive European Chamionship campaign. The 24-year-old front-rower, who can also play in the back-row, made seven appearances for the Lions in 2018 on loan from the Red Devils. “I’m really happy to be joining Swinton Lions and I can’t wait for the season to start,” Bennion said. “I have some good mates that play at Swinton so it made my decision easy. Meanwhile, Shelford and Jones have signed new one-year deals with the Lions. On extending his stay at Swinton, Shelford said: “I am happy to have re-signed with Swinton. “I’ve been playing with a few of the lads since being 16 so it will be good to take the field with them again, but also with the new boys that have signed. “The game time I got last year was crucial to my development as a player and I am looking forward to what I can bring to the table this coming season. On his new contract, Jones commented: “I’ve had offers from a number of other clubs, but I enjoyed my time at Swinton and I’m impressed with the future plans Stuart and Andy [Mazey] have for the club. “I’m now really looking forward to getting stuck into training and doing my best for the club and fans.